THIS is a true magnum opus, containing 528 pages, weighing 5½lb and priced at £50, but it will be invaluable to anyone even vaguely interested in the subject of railways and war. Although published in 1989, it has been available only in French text until now, but its recent translation into English has opened this remarkably detailed work of reference to a far wider audience. The opportunity has also been taken to revise the story and bring it up to date with the events of the last quarter-century. Sub-titled An Illustrated Encyclopaedia 1825-2016, it explains the complex subject of armoured trains in an easy-to-understand 19-page general introduction and then deals in alphabetical order with every country that has ever possessed or operated such a train. Most people might reasonably assume that only nations such as Germany, Russia and Britain would figure prominently in such a volume, but no fewer than 72 countries are covered, including such unlikely ones as Portugal, Switzerland, Tunisia, Colombia and New Zealand. Their inclusion results from the author’s understandable desire for absolute thoroughness, for some of the entries – Portugal and New Zealand, for example – deal with machines operated not on the soil of those countries, but by their troops in foreign theatres of war, while some other brief entries are included mainly by virtue of freight locomotives fitted with protection against minefields and associated guerrilla attacks. The vast majority of the book, however, deals with bona fide armoured trains, and in this respect it has no peer. One of the most profusely illustrated works of literature we have reviewed (it contains more than 1,500 photographs! 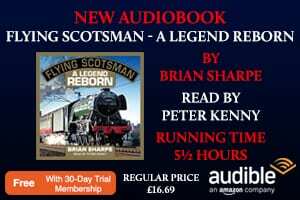 – all the more remarkable given the traditionally secretive nature of the subject), it leaves few stones unturned in revealing the mysteries that have fascinated military and railway historians for years. 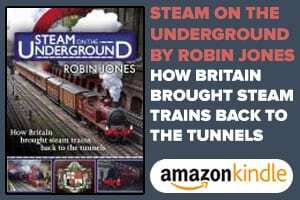 Great Britain, described as the country that “without doubt has made the most widespread use of armoured trains”, is afforded 38 pages, but it should be noted that many of those vehicles worked abroad in places such as France, Egypt, India and in the Boer War conflict in South Africa. The author is also at pains to point out that for developed countries already possessing books devoted to their own armoured train histories (the UK being one), he has not attempted to duplicate those texts, but has restricted himself to pictorial aspects and abridged descriptions. The real strength of this book, therefore, is in its unprecedented nation-by-nation study of the world. 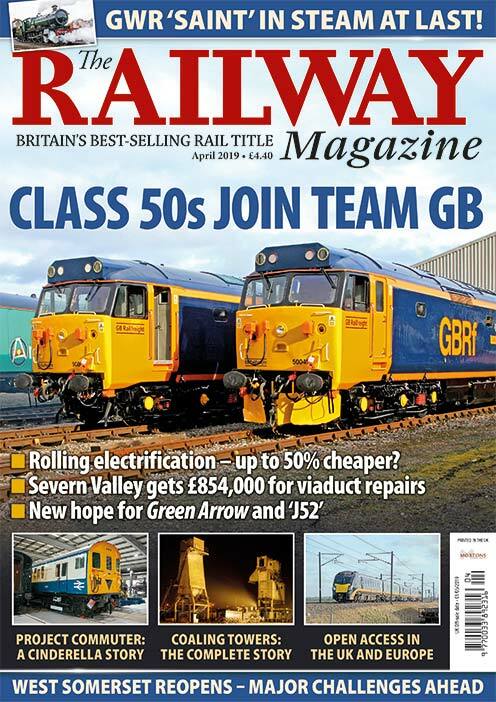 Notwithstanding that, the trains built to protect the British mainland in the two world wars are given adequate coverage and readers will find the dates and locations of their deployments most useful. It is not widely known, for example, that all the Second World War trains patrolling the coast of Britain were dismantled while the conflict was still raging, in several cases as early as 1943. Among them was the unique, and some would say eccentric, Romney Hythe & Dymchurch Railway armoured train, which deservedly gets a page to itself. 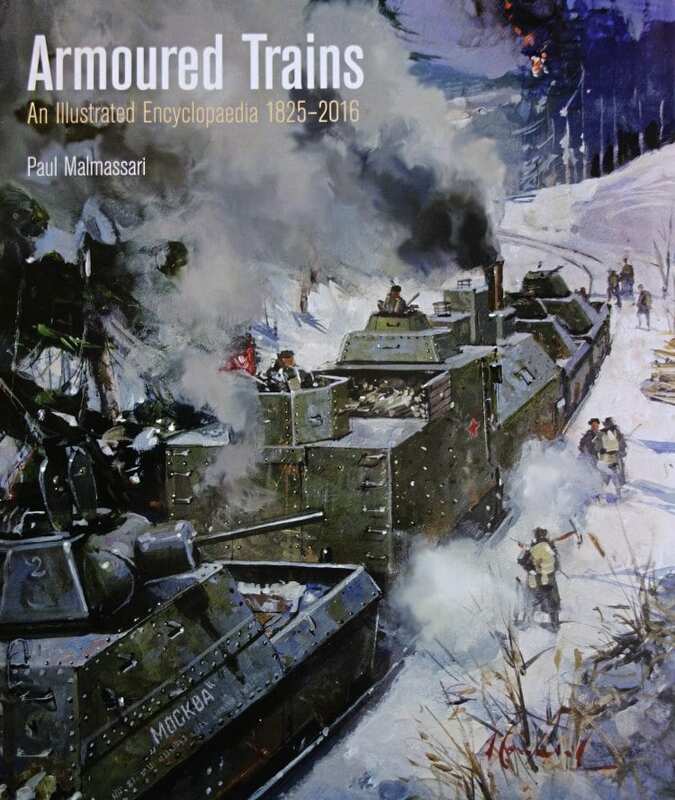 An unexpected bonus at the very end of the book is a colour section comprising 16 pages devoted to armoured railway vehicles in art and propaganda through the ages. Among the items featured is a fascinating collection of international book, magazine and comic covers as well as classic posters and paintings. The book also contains a large number of plans and drawings in addition to its many photographs. Seaforth Publishing, 47 Church Street, Barnsley S70 2AS; Hardback; 508pp; 295 x 253mm; ISBN 978-1-84832-262-2; £50.